Highlights from the Championship clash between local rivals Birmingham and Wolves. Goals from Dave Edwards and Sheyi Ojo earned Wolves a worthy 2-0 Sky Bet Championship win over Birmingham at St Andrew's in a West Midlands derby on Saturday afternoon. Edwards' first half strike and substitute Ojo's late effort ended Wolves' depressing run of three successive defeats, to the delight of their highly vocal fans. It was a massive improvement on recent performances by the visitors, and there will be some concern with Birmingham's indifferent display in this derby following their impressive start to the season. With only one win in nine previous visits to St Andrew's it was a highly welcome victory for Wolves as they arrested their recent decline to climb the table. Having conceded nine goals in their last three games, Wolves bolstered their defence with the inclusion on loan of Mike Williamson from Newcastle and another new boy in the Wolves squad was striker Grant Holt, signed late on Friday on loan from Wigan. The new recruits have been made by manager Kenny Jackett in an attempt to halt the recent slump. 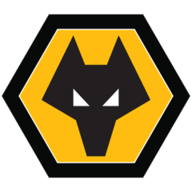 Wolves responded with some positive attacking play and not for the first time it was Edwards who emerged as their main threat with the opening goal in the 12th minute after Paul Robinson, jumping high, failed completely to make contact with a deflected cross from Nathan Byrne. Benik Afobe latched on to the ball to shoot from close range only to see his effort blocked by goalkeeper Tomasz Kuszczak who was wrong footed when Edwards grabbed the rebound to stroke his shot into an empty net. With Williamson and skipper Danny Batth quickly forming a good partnership in the middle of the visitor's defence the Birmingham attack struggled to create an opening. This was emphasised when David Davis cleverly worked his way into a shooting position but his effort was blocked by a packed Wolves defence intent on hanging on to their slender lead. There was, however, always a threat on the counter attack from Wolves, highlighted when the tenacious Byrne nipped clear only to see his effort go high and wide of the far post. Jacques Maghoma emerged as the player most likely to spark off a Birmingham recovery with some eye-catching runs, but Wolves continued to hold firm. James Henry managed to fire in a low shot which Kuszczak initially fumbled only to quickly retrieve the ball. It was only in the final five minutes of the first half that Birmingham came alive as an attacking unit with Stephen Gleeson's final effort going over the bar. Wolves debutant Mike Williamson says it was a perfect start after a 2-0 victory over local rivals Birmingham and the man of the match award. 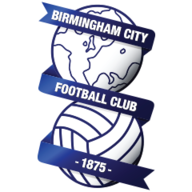 Another effort from Clayton Donaldson went just wide from a Paul Caddis cross with Birmingham's early second half play was in complete contrast to their first half performance. In an attempt to provide more attacking options David Cotterill was introduced in place of Maikel Kieftenbeld but Wolves defended in depth. Kuszczak then made the save of the game in the 62nd minute when he flung himself to his right to keep out a powerful effort from Kevin McDonald. Kuszczak then prevented Henry from scoring but a minute later he was left stranded when a low left-footed shot from Ojo whistled through a packed defence six minutes from time to give Wolves their first away win since their 3-0 success at Fulham on September 29.